The port of San Blas was founded in the year 1768 by decree of King Charles III, crowned head of Spain. This year, this small town located just 2 hours and a half from Nuevo Vallarta, will celebrate its 245th year. San Blas and its environs are well known for the amazing concentration of local and migratory birds; in fact, it occupies the second place in the Western Hemisphere with the most variety of birds. 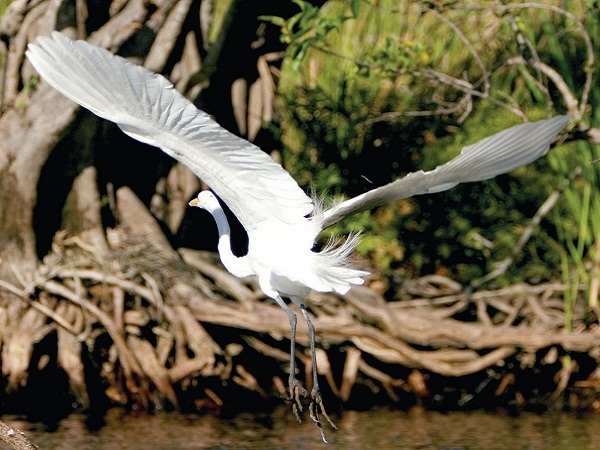 There are over 500 registered species between local and migratory birds thanks to the rich biodiversity of the area and its varied ecosystems, which include lagoon estuaries and mangrove forests, coastal lagoons, tropical jungles, sub tropical deciduous forest, scrub or low forest, savannah plains, wetlands with swamps, marshes and beaches. This also gives rise to a great variety of flora, especially orchids, bromeliads, palms, and both ornamental and medicinal plants. 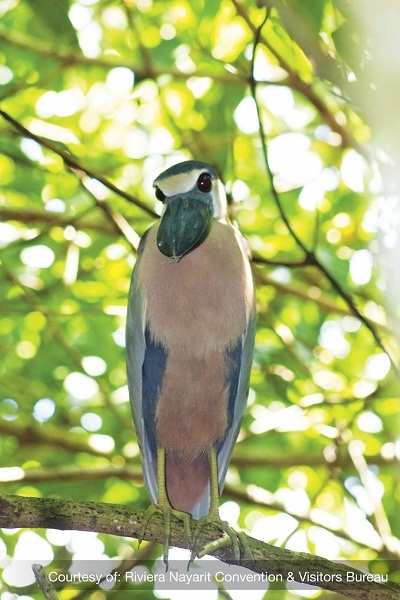 As for the fauna, it’s also very diverse with a presence of protected species including the jaguar, ocelot, mountain lion, panther, lynx, river otter, marine and river turtles, river crocodiles, iguanas, tarantulas, snakes as well as a variety of aquatic birds including cranes, ibis, pelicans, ducks, beach birds, birds of prey and a great number of land birds including warblers, vireos, trogons, carpenter birds, hummingbirds, crows and parrots, among many others. Together, they place San Blas, Nayarit on the pages of the International Birdwatchers Guide as well as tours in different magazines specializing in birdwatching. The high season for birding is November through May, which is when most birdwatchers come to the area. The Riviera Nayarit hosts many important visitors such as the humpback whale, the whale shark, marine turtles and a great variety of migratory birds, which remain mainly in the San Blas area. San Blas has co-ops and expert biologists ready to offer specialized tours to the different areas, among them the Singayta Route Tour, La Tovara Route, Tecuitata Route, La Bajada, Isabel Island, Chacalilla and La Papalota. The are all experts on the topic and in the area, in fact, much of the population is dedicated to caring for the visitor and birdwatching is their main source of income, followed by other endeavors directly linked to the abundant nature. Conservation is everybody’s business—that includes both locals and visitors alike—and we invite you to enjoy San Blas to its fullest: its traditions, gastronomy, the warmth of its people and, of course, its abundant nature, the region’s crowning glory. Those who visit fall in love with its gentle beauty, the daily life of its streets, the aromas and the sentiments of yesteryear that still permeate the town. San Blas is just one of the Riviera Nayarit’s many luxuries, no matter how you choose to see, feel or experience it.